The woolen fabrics are divided into worsted fabrics and woolen fabrics; it is not simply that the worsted fabrics are woven with worsted yarn and the woolen fabrics are woven with the woolen yarn. Apart from this distinction, there are fabrics, which have worsted yarn, or cotton yarn used for the warps and woolen yarn is used for the wefts. The finished appearance looks similar to that of woolen fabrics. Therefore, these are treated as woolen fabrics. In Japan, when the common name “Rassha” is mentioned, sometimes, it points to the meaning of natural and woolen fabric and sometimes it points to the meaning of woolen dress material of worsted and woolen yarn. Thus, there is no clear term distinguishing the two apart. In English also, the term “woolen fabric” is used generally widely for all woolen fabrics and narrowly only for “spun” woolen fabric. In accordance, when the general woolen fabrics are to be pointed, the proper expressions are “worsted” and "woolen” fabric. The plain colored woolen fabrics are usually dyed after the weaving is over, in case of almost all worsted and woolen yarns. However, for the marble and striped fabrics, mainly top dyeing (in case of worsted) or wool dyeing (in case of woolen) is done. Thus, there is distinction of pre-dyeing post dyeing between the two. Moreover, in the former woolen fabrics, there were no printed fabrics except for muslin, which was also very little. But, in the recent years, the printed fabrics are becoming common in the dress materials for ladies. 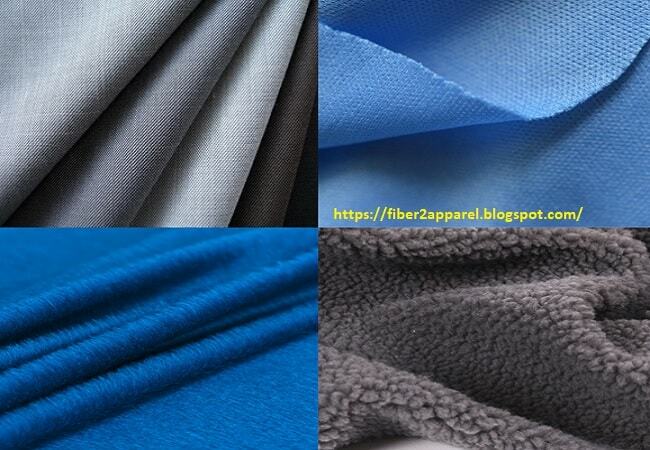 What Types of Woolen Fabrics Produced in Textile Industry?